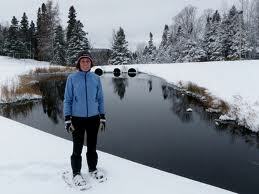 Ski the Beaten Path in Atikokan! Atikokan, 200km west of Thunder Bay, is home to the Beaten Path Nordic Trails ski club, boasting more than 50km of trails, so I made sure to wedge my cross-country ski gear into the car on a pre-Christmas visit to the in-laws. To be honest, the conditions were merely ok: low grey skies, temperature right around the zero mark, and a brisk wind blowing fine snowflakes around. Still, I had been craving a ski, and the fact that my four-year-old had just received a toy microphone for a gift confirmed my decision to get some fresh air for an hour or so. 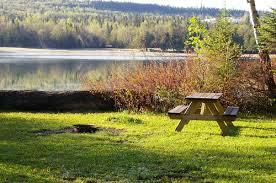 Ontario Trails News – tell us about how you value trails, and outdoor activity in Timmins! Tell us about how much you value trails! TIMMINS – If you can’t beat ’em, join ’em. That old saying definitely rings true at the Porcupine Ski Runners (PSR). While many people choose to gripe and complain about the heavy snowfall Timmins has seen from November to January this season, cross country skiers across the region are welcoming the wintry weather with open arms. “It’s a given that it’s here,” said Mike Kornell, the president at PSR. “A lot of the winters go from November right through to March or April, so it’s a good five or six months of snow. You might as well enjoy it while it’s here. “We’ve already got about 1,000 paid-up members based on the early snow. We were already on snow in the middle of November. The old-timers say it’s the earliest start since probably 1985 or 1986, in terms of the actual trails being open for general use, so that’s a positive. There have been a few noteworthy changes at PSR since last year. Jane Mulcair is the new chalet manager, taking over from Jim Bielek, who retired after three years in the role. There’s also a new bully out roaming the 30 km of PSR trails — though skiers will more than welcome its presence. “We got a new groomer, a few weeks ago, it’s a Pisten Bully, a top-end model from Germany,” explained Kornell. “It’s not brand new, but it’s certainly new to us. Our old trail groomer was about 30 years old, from the mid-1980s, and it was on its last legs, so we got a new one that’s just a few years old. The track set is going to be that much better and deeper and firmer. The groomer will be put to good use in February, as the club hosts a number of high-profile events. The highlight will be the Ontario Cup race taking place at PSR on Feb. 28 and Mar. 1. It was also recently announced that the PSR’s bid to host the 2017 OFSAA high school cross country ski championships was a successful one. This year’s regional NEOAA qualifiers for the 2015 OFSAA championships in Sudbury will take place at the PSR sometime in early February. Perhaps the most popular events for locals are the Family Day long weekend (Feb. 14-16, 2015) and the PSR’s annual Loppet, which will take place on Sunday, Feb. 22. “On Family Day weekend, we usually have special deals on the daily passes and the rentals being at a reduced cost, and that’s usually a huge turnout as well,” said Kornell. 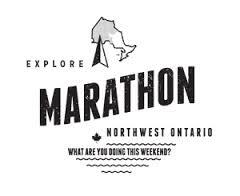 “If people want, they can look at the website (www.porcupineskirunners.com) for Family Day plans in terms of rates and activities. 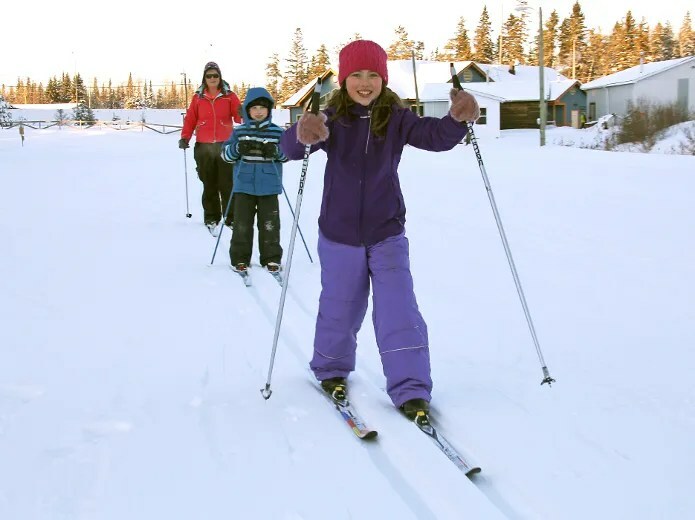 New this year is Women’s Ski Night, hosted at the PSR chalet every Tuesday at 7 p.m.
What hasn’t changed is that the club has been one of Northern Ontario’s premier cross country skiing destinations for more than 40 years. 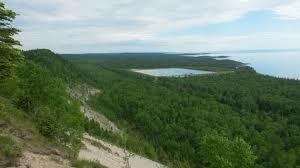 And it’s located just barely 3 km from downtown Timmins. “What we’re seeing is that there are more skiers that are coming from out of town, whether it be from North Bay or Sudbury, or even further down south,” noted Kornell. “There’s recognition that Timmins has great trails, and there’s the fact that the trails are so close to town. With constant trail condition updates on its re-vamped website and Facebook page, Kornell said that, “People are that much more aware of the rentals being available, and coupled with the early snow, people say that it’s a great, fun family activity, and it’s close to our homes, so let’s go and try it. “What is great as well is the fact that a lot of the trails are sheltered, so even when it’s a cold winter day, the trails are highly sheltered and it’s not super cold in terms of the added windchill factor being a problem. Among those you might see out on the PSR’s trails are Rita Delaurier and her children, eight-year-old Ocean and six-year-old Charlie. She said it was nice to get some fresh air after spending a few days cooped up inside the house. Delaurier explained that Ocean recently signed up for an after-school cross country ski program, and figured Friday would be a good day to get some practice in. “I wanted to come a few times during the holidays so she’d be ready when it starts up,” said Delaurier. She chuckled with her daughter, recalling that things didn’t go so smoothly the first time they visited the PSR. Before they knew what was going on, they were headed in the wrong direction on the trails. Kornell said that the club has had a consistent number of about 1,000 members for the past 15 to 20 years. The growing number of visitors and locals alike discovering the sport only bodes well the for future.